The Matchbaker is a light and entertaining novel that fans of Sophie Kinsella and Juliet Madison will especially enjoy. 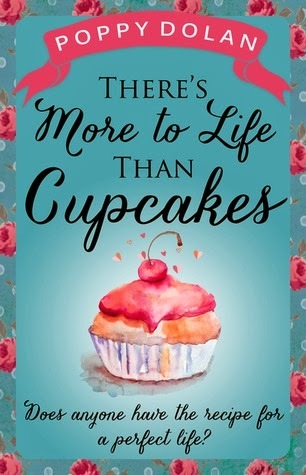 It has all the factors that make up a great chick lit story: career, romance, fashion, humor, friendship and, of course, cupcakes! The cupcakes were almost their own character, as they sounded delicious. (There are recipes at the end of the story, should you wish to try them yourself.) Just have a suspension of disbelief when you read this story because it's not entirely based on reality. Especially since the ending ties up a little too neatly, as a result. 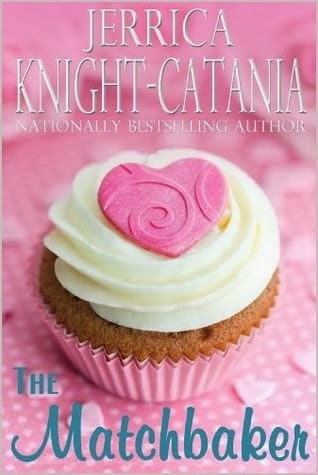 Overall, it's a cute story that I'd recommend to all our readers and I hope Jerrica Knight-Catania will take another foray into the chick lit world again soon! Thanks to Jerrica Knight-Catania for the book in exchange for an honest review. Ellie knows that starting a family with lovely husband Pete would be an amazing adventure. Pete would make a brilliant dad and she’d have an excuse to eat shed loads of Cherry Bakewell. But Ellie’s bestie would rather she was up at three a.m. with a bottle of Malibu, not formula. And with redundancies looming, Ellie’s boss isn’t exactly going to throw her a shower if she disappears for a year, with pay. 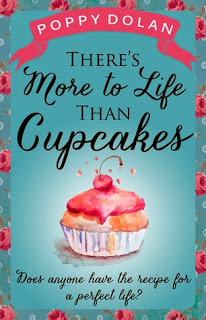 There's More to Life than Cupcakes also has a lot of important chick lit elements: career, romance, friendship, food and blogging. I liked the questions this novel raises in terms of whether a woman should or shouldn't have children and all the expectations that are placed on women when they reach a certain age. I definitely felt frustrated for Ellie when she was dealing with all the different pressures in her life and trying to decide what was best for her own needs. I liked how she used a blog to sort through her thoughts. Had this blog actually existed, I would have been following it and commenting often. While this was a conflict running through the story, it went along its merry way for the most part and didn't really climax until close to the end. I had no idea it would take such a long story to get across the main message. However, it stayed afloat and didn't drag, thanks to fun dialogue and humorous misunderstandings. I just wish there had been a glossary at the end to decipher all the British slang and pop culture references. Overall, it is an enjoyable novel for an easy read at this busy time of year. Just make sure you read it on a full stomach or you'll find yourself noshing on treats after reading about all the baked goods. And while I can easily visualize the characters, I don't have any casting ideas in mind, but maybe some new actors could make their debut if this became a movie. Thanks to Novelicious Books for the book in exchange for an honest review. Yummy-Yummy! I love sweet romance novels and cupcakes. What could be better than that? Looking forward to reading both of these novels!